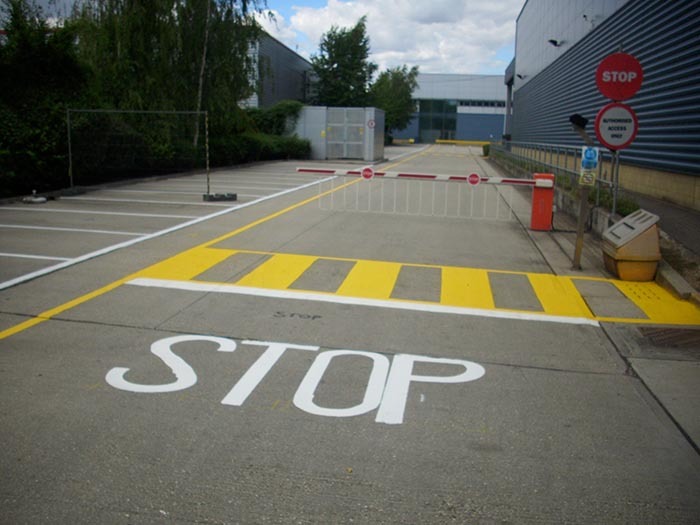 The external line marking you have reflects the image of your company and compliments your health & safety regime so it is important to get the right solution for the floor surface you have, otherwise you will waste time and money in replacing it time and time again. At Warehouse Partners in the same way that we give you the right solution for internal line marking we carry out the same care to ensure you have the right solution externally. Remember it’s not just a painted line, it not only has to look good but has to last.